"Enjoyed the pool with enough loungers arojnd it ." Have a question for La-or Resort? "In tow for business, close proximity to town center with many restaurants within walking distance." "Good location too ! Recommend a stay here"
"The rooms are clean and comfortable and the staff are very friendly." "Beautiful pool and grounds that were cleaned daily"
For travelers who want to take in the sights and sounds of Hua Hin / Cha-am, La-or Resort is the perfect choice. The excitement of the city center is only 1.00 Km away. 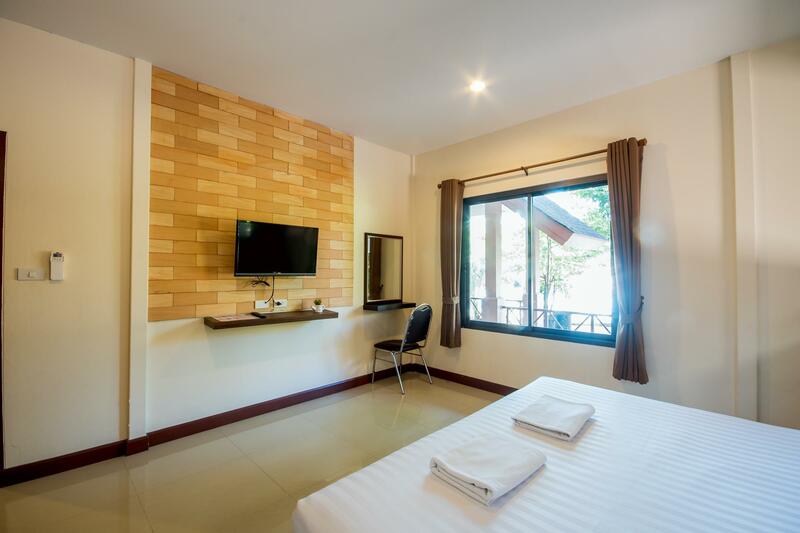 A haven of rest and relaxation, the hotel will offer total renewal just steps away from the city's numerous attractions such as Major Cineplex Hua Hin, R.D.M. Youth Center, Ran Mae Geb. Offering hotel guests superior services and a broad range of amenities, La-or Resort is committed to ensuring that your stay is as comfortable as possible. Top features of the hotel include free Wi-Fi in all rooms, Wi-Fi in public areas, car park. Experience high quality room facilities during your stay here. Some rooms include television LCD/plasma screen, separate living room, internet access – wireless, internet access – wireless (complimentary), non smoking rooms, provided to help guests recharge after a long day. The hotel offers an excellent variety of recreational facilities, including outdoor pool, pool (kids), garden. Whatever your reason for visiting Hua Hin / Cha-am, the La-or Resort is the perfect venue for an exhilarating and exciting break away. The 2-Bedroom Bungalow does not have a connecting door. Guestrooms with 2 bedrooms and a connecting door are subject to availability. The bedrooms in the 2 Bedroom Bungalow and 2 Bedroom Home are not adjoining rooms. When we were dropped of here by the taxi I thought we had made a huge mistake. No grand reception. Dogs (2). A number of vehicles with their bonnets open. It also seems that you are in a funny old back street. As it was late though, we decided to stay the night. How glad we were that we stayed. In the morning we discovered it was a little gem. Individual 1 and 2 bedroom small villas around an immaculate pool and surrounded by well kept gardens. Breakfast is not an option, but there is free coffee/tea, toast and buscuits provided at the reception. The rooms are clean and comfortable and the staff are very friendly. The main area for bars snd restaurants near the sea is a 3 minute tuk tuk ride away, but a couple of minutes round the corner there are a few bars and a fantastic night time food market. There is a quaint residential area a couple of minutes away when you turn left out of the gate - shops, street food and supermarkets. We thoroughly enjoyed our stay at La-or . La Or Resort, Hua Inn Located in a central position off a side road so surprisingly quiet. Staff pleasant and helpful although their understanding of English was limited. The rooms are all single story in blocks of two, dotted around the central pool. All rooms have veranda with table and chairs. Rooms clean and comfortable with fridge, hair dryer, TV, air con and fan. Pool and garden really nice and pool a god send in the heat and humidity. They have motorbikes for hire which was good. They do not offer breakfast and there is no kettle, cups, tea or coffee in the room. However dont dismay because in the mornings at reception they provide bread for toast, jam, marmalade, doughnuty things, boiled water and tea/coffee which was a nice surprise. Water, tea and coffee are available all day. Bars and restaurants in walking distance however we chose to eat at the large outdoor beer garden where you can get just about anything you fancy from Thai, Indian, Italian etc and very cheap, beers were less than in the supermarkets you even get to listen to live acts on stage. Walked to the beach once and was disappointed, not very clean, lots of jelly fish. You have to walk a long way to get back off the beach as there are no gaps between the large hotel groups and they won't let you walk through their grounds. This can cause aproblem as the tide comes in quick and high potentially cutting off your exit. Another reason to use the pool at La Or. All in all a very pleasant place to stay. This resort was in walking distance of lots of places to eat, the mall, and the beach. The pool was always clean and the staff was friendly. We loved the bungalow style and the variety of trees. As was mentioned by someone else, taking the rooms closer to the front doesn't have the sound from the band playing until midnight (from the bar behind the property). We really enjoyed our time here away from it all! Lovely staff, polite and helpful, very nice poolside bungalows cleaned every day, the whole complex/resort is also very clean. Tea and coffee are available all day along with bread and preserves along with a toaster and microwave, all complimentary. Very good. Staff are friendly and helpful.Beautiful pool and grounds that were cleaned daily.Quite area but still close to restaurant and bars. Stayed for at LA-Or resort while. In tow for business, close proximity to town center with many restaurants within walking distance. I will be back. Very clean rooms with English channels. 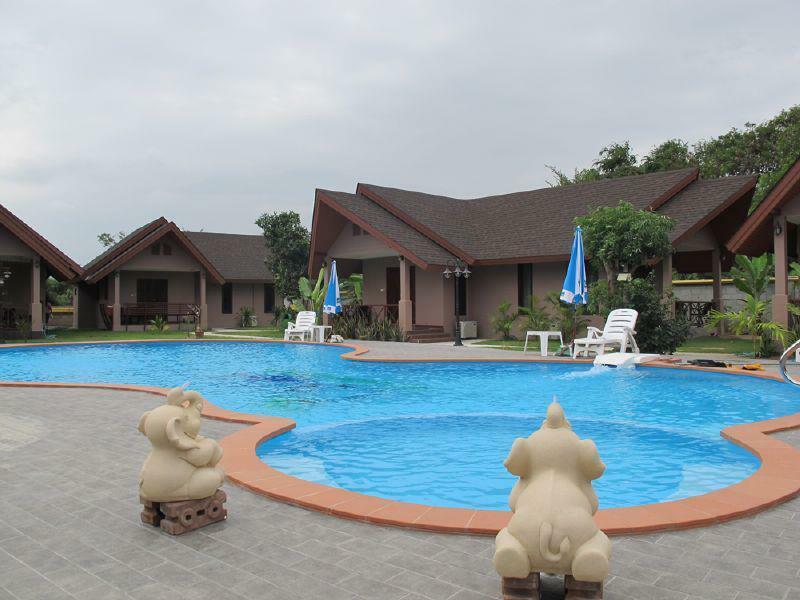 Very nice bungalow resort which is well kept and Clean. My new go to resort when I am in Hua Hin. 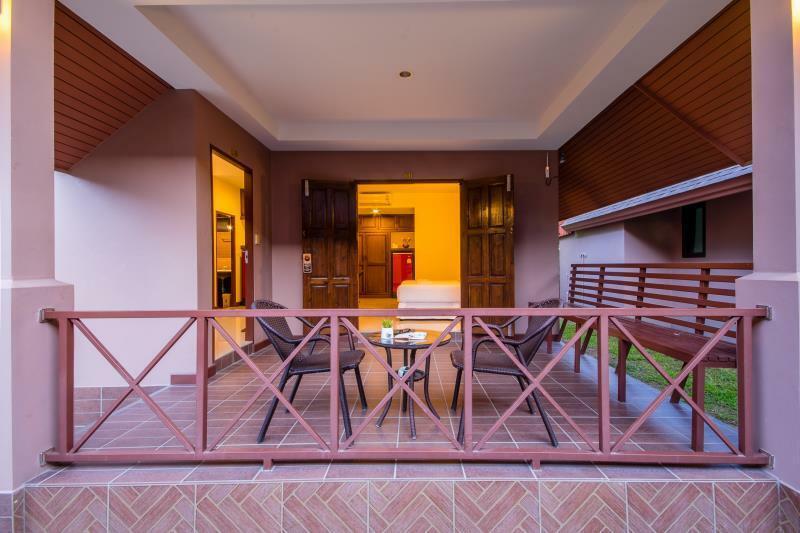 unbelievable value for money, clean and comfortable rooms, beautiful pool which never gets too busy, reasonable internet even at the pool, on site scooter hire, very close to restaurants, bars and night food centre........would book again. We found our stay excellent again. We have Come heren several times and we can't imagine a more tranquil and peacefull resort. Nice bungalows and a nice swimmingpool! And the staff is more then friendly! And everything in Huahin is easily reachable by foot. Think no more, just book! Is a very nice place for us to a vacation at La'or. Simple Breakfast provided were so delicious. You can find a lot of local food in walking-distance. I would come back and visit again. Great experience!! The service good... location a bit far.. need to walk around 5min to get food. The room a lot of mosquito. No easy to get take taxi or tuk tuk. The staff all cannot speak English, only the reception can speak English. But the staff very helpful, they will try their best help you.